Police have arrested four suspects in connection to a day-long crime spree in San Jose. Ian Cull reports. Police have arrested four suspects in connection to a day-long crime spree in San Jose. The suspects, three males and a female, are accused of at least seven crimes reported Thursday across the city. The crimes include carjackings, robberies and attempted robberies, police said. At 5:36 p.m., officers responded to a report of a suspicious vehicle on Bird Avenue, near Minnesota Avenue. Officers on scene found an unoccupied Honda Odyssey van parked on Bird Avenue. Police said the van came back as a stolen vehicle involved in a carjacking, robbery and other crimes throughout the day. Officers on scene came across a Mitsubishi Endeaver they recognized as being linked to another carjacking reported earlier in the day. The vehicle was occuped by four people. Police then attempted to stop the vehicle, but the driver fled, prompting a short pursuit. 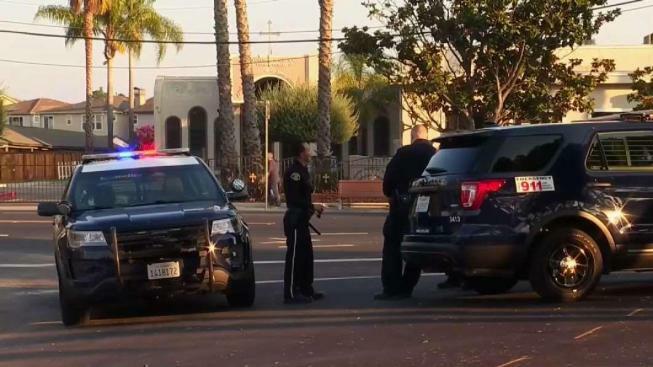 San Jose Police Department's AIR3 helicopter took over the pursuit and followed the vehicle until it pulled over in the 15000 block of Prevost Street, police said. One of the suspects fled on foot, with the other three taken into custody without incident, police said. The fourth suspect eventually surrendered to police after officers set up a perimeter and search.